Following the "memorandum of understanding" to share knowledge between the FA and Qatar that was signed in February 2018 the women's team will head to Qatar next week with Manager Phil Neville for a warm weather training camp. 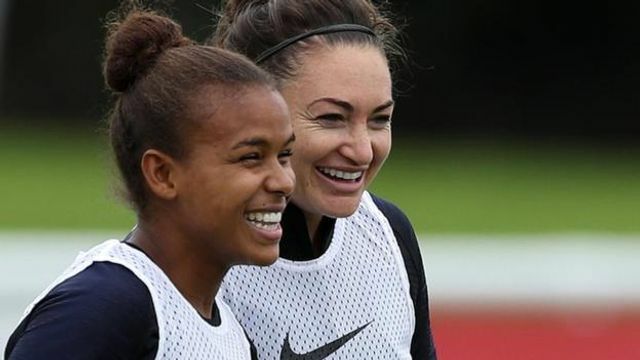 The camp will be used as preparation for the SheBelieves Cup tournament in the United States next month and this summer's Women's World Cup in France. Neville has selected a 28 player squad to travel to Qatar as interest in the women's game continues to grow with the introduction of the fully professional Women's Super League. BBC Sport has reported that the camp will also assist the FA to learn more about what players and fans can expect if England reach 2022's men's World Cup in Qatar. England Women are off to Qatar for an eight-day training camp. The trip is partly for the FA to learn more about what to expect for players and fans if England reach the 2022's men's World Cup.